A magnitude-7.8 earthquake struck Nepal on April 25, 2015, toppling multi-story buildings in Kathmandu, the capital, and creating landslides and avalanches in the Himalaya Mountains. Nearly 9,000 people died and more than 22,000 suffered injuries. It was the deadliest earthquake in the seismically active region in 81 years. The quake was followed by hundreds of aftershocks, and only 17 days later, there was another major quake, a magnitude-7.3 temblor. Thirty-nine of the nation’s 75 districts with a population of 8 million people — about a third of the national population — were affected. Hundreds of thousands of people lost everything and faced extreme poverty. More than 600,000 homes were destroyed and more than 288,000 were damaged in the 14 worst-hit districts. The quakes’ strongest impact was in remote rural areas, making the response extremely challenging. 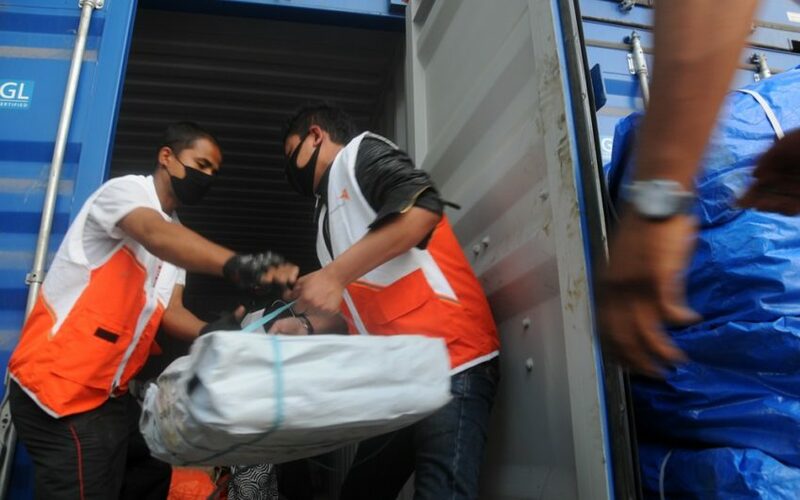 Humanitarian organizations responded quickly to the disaster with search and rescue teams and immediate aid deliveries. Work is still underway to rebuild schools, health clinics, houses, livelihoods, and to help families and communities gain more resilience to environmental shocks. With a per capita income of only $1,000, Nepal was one of the world’s poorest countries at the time of the 2015 earthquake; its economy still lags. As is most often the case, the poorest and most vulnerable of its citizens — rural farmers — were the hardest hit by the disaster. Plagued with government instability and social unrest, Nepal ranks among the world’s most fragile states. April 25: A magnitude-7.8 earthquake strikes. About 100 international search and rescue and medical teams arrive within 24 hours. The Mt. Everest climbing season is canceled. May 12: A magnitude-7.3 aftershock occurs, causing massive destruction of schools, health centers, water and power systems, roads and bridges, along with homes. June to September: Monsoon season rains cause landslides, making mountainous regions inaccessible to foot traffic. Low clouds prevent air operations. September 20: A new national constitution is approved after a decade of delays and political unrest; protests ensue. October to February 2016: A border blockade prevents land travel between India and Nepal, creating shortages of fuel, drugs, and other items needed for relief operations. 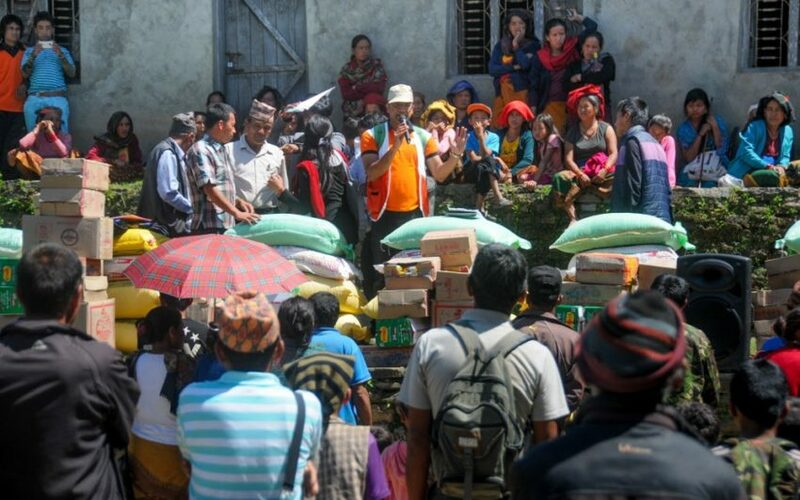 Aid groups race to provide supplies to mountain villages before winter sets in. 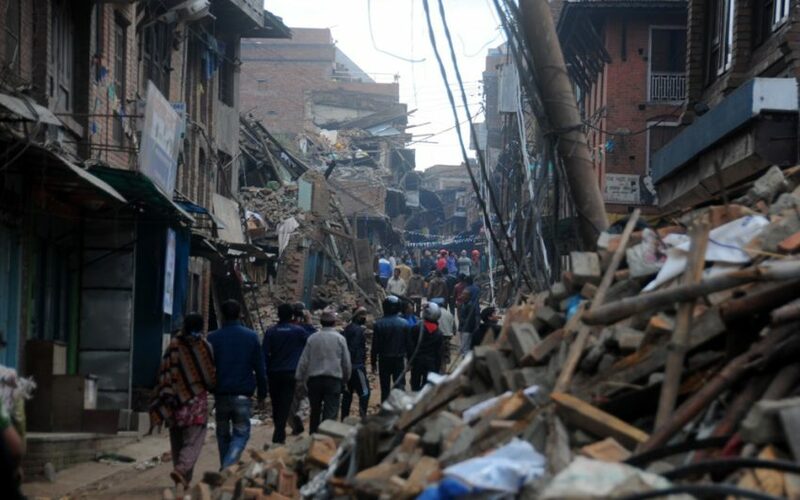 December: The Nepal government sets up National Reconstruction Authority to oversee rebuilding. The government reconstruction authority focuses on improving shelter and reducing disaster risks. 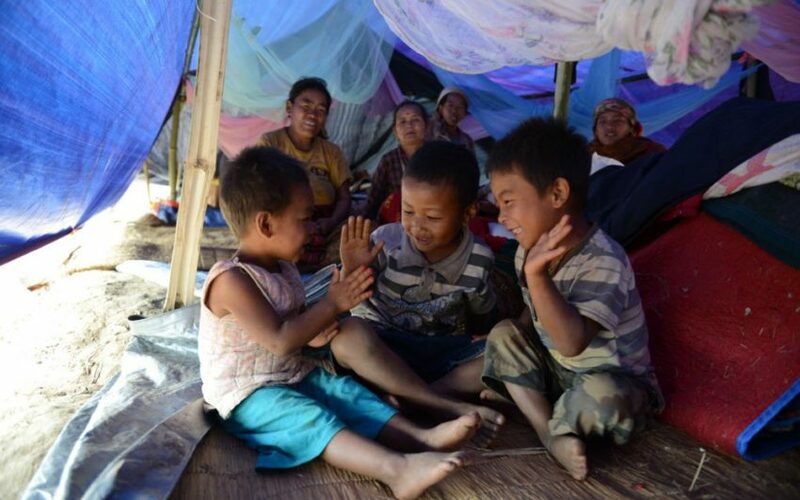 Seventy percent of people displaced by the quakes still live in substandard temporary shelters, making them especially susceptible to monsoon flooding and cold winters. World Vision has worked in Nepal since 2011. 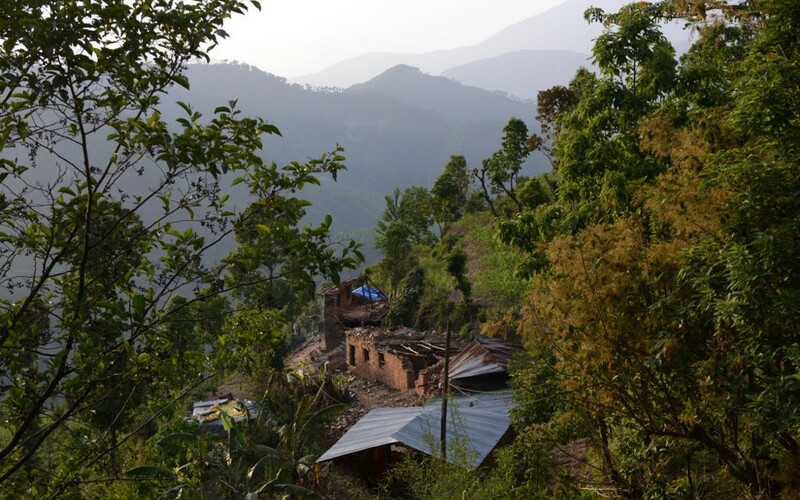 We operate 16 community development programs in 10 of Nepal’s 75 districts. 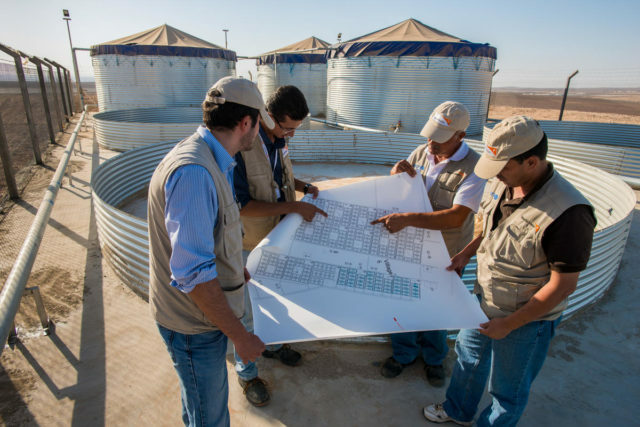 At the time of the quake, we employed 200 staff members in long-term community development programs. Prior to the earthquake, World Vision had served more than 1.2 million people with maternal and child health; education; child protection; livelihood support; and water, sanitation, and hygiene projects. Knowing Nepal is very vulnerable to earthquakes, we had also begun a disaster preparedness program. In Lalitpur and Rupandehi districts, we had trained 65,000 children and adults how to reduce their risks in case of disaster and retrofitted community buildings with earthquake-resistant construction. By the end of the rehabilitation phase in April 2018, World Vision had reached 27,250 additional people with livelihoods, water and sanitation, and shelter assistance. 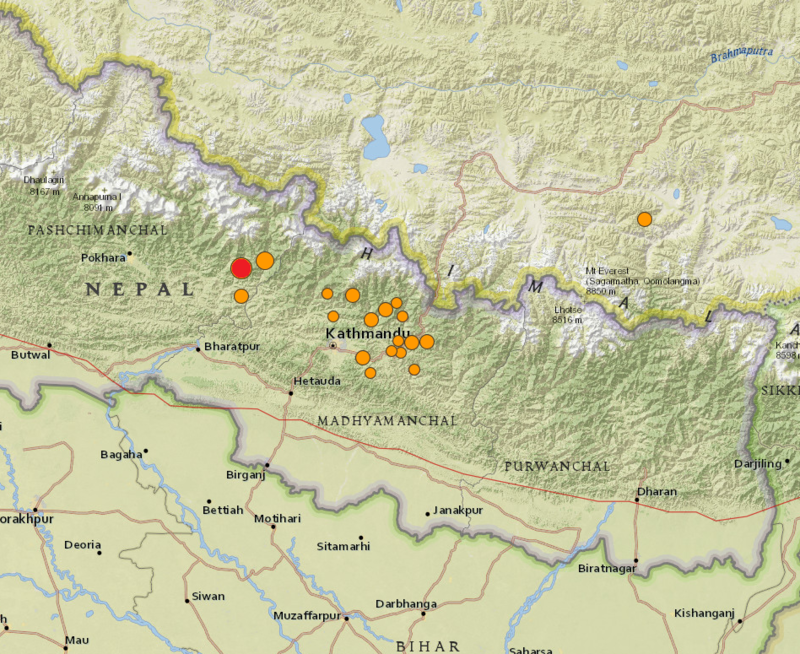 Where did the 2015 Nepal earthquake strike? Why was the 2015 Nepal earthquake so destructive? 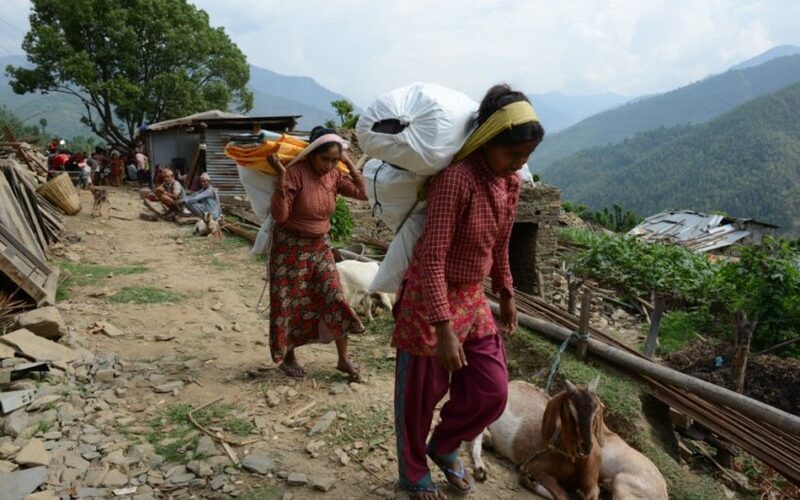 What hardships have the Nepal earthquake survivors experienced? How can I help disaster survivors? The 2015 Nepal earthquakes of April and May killed nearly 9,000 people and injured more than 22,000. A 1934 earthquake in Nepal caused more than 10,000 deaths. The 2015 quake triggered an avalanche that killed 19 climbers on Mt. Everest and stranded hundreds at the base camp. The Nepal government estimated reconstruction costs up to $9 billion. Agriculture and tourism — two of Nepal’s top income generators — were severely set back by the quake. A USGS map of the April 25, 2015 earthquake that struck Nepal shows the main earthquake in red. Subsequent aftershocks are marked in orange. The size of the circular marker indicates the intensity of the shock. The epicenter of the magnitude-7.8 quake was near Lamjung, about 50 miles northwest of Kathmandu. The quake was felt throughout central and eastern Nepal as well as parts of India, Bangladesh, and southern Tibet. The May 12 magnitude-7.3 aftershock struck some 47 miles east-northeast of Kathmandu in an area that had been seriously affected by the first quake. The May 12 quake killed more than 100 people and injured nearly 1,900. At nine miles deep, the shallow initial quake caused a lot of shaking near the surface. Poorly constructed multi-story brick buildings and temples in and around Kathmandu were reduced to rubble. Brick is the go-to building material there because the Kathmandu Valley has many brick works. However, poor construction practices meant older buildings often lacked steel reinforcements and adequate foundations. Heavy bricks made the buildings deadly when they fell. Mountainous rural areas with poor infrastructure suffered even worse. Whole villages collapsed; their houses made of stacked stones or timbers and mud were no match for the destructive force of landslides, avalanches, and shaking. 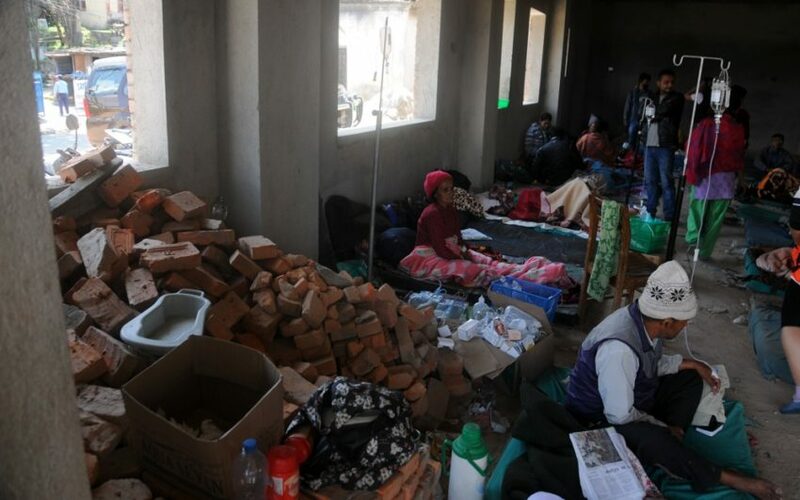 Many survivors of the 2015 Nepal earthquake lost not only family members, but their home and all of their possessions. They have struggled to provide for their families and to rebuild their livelihoods, houses, and communities. Farmers lost livestock, crops, tools, and irrigation works. 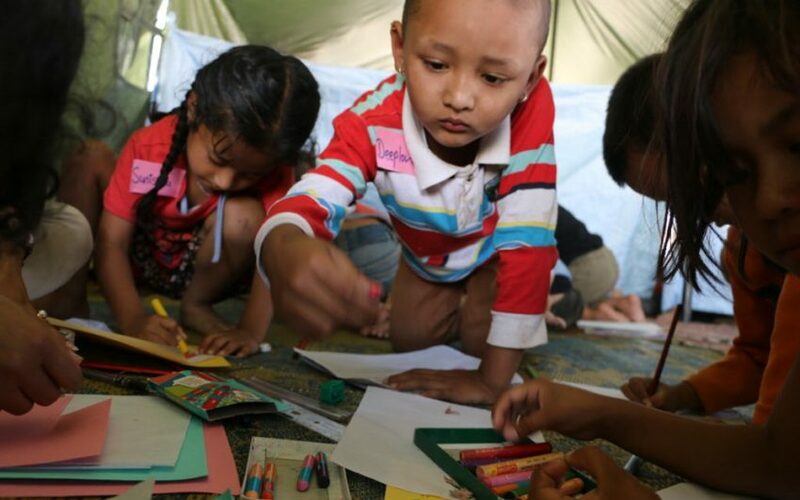 More than half of the country’s schools were damaged and destroyed, so close to 1 million children were out of school. 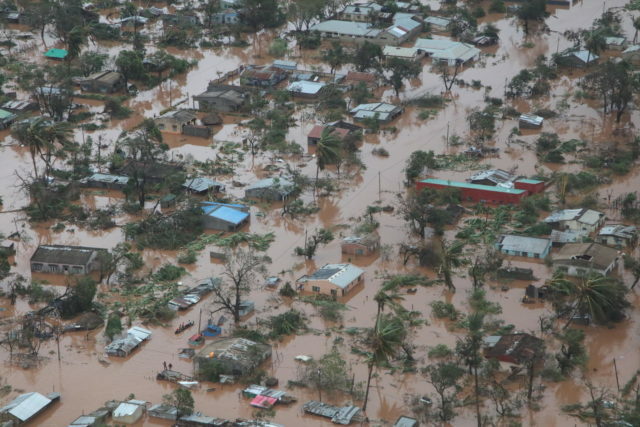 Health centers and hospitals were damaged, as were water and sanitation systems. The social upheaval and poor living conditions resulting from the quake made women and children more vulnerable to abuse and exploitation. Child marriage and trafficking increased. 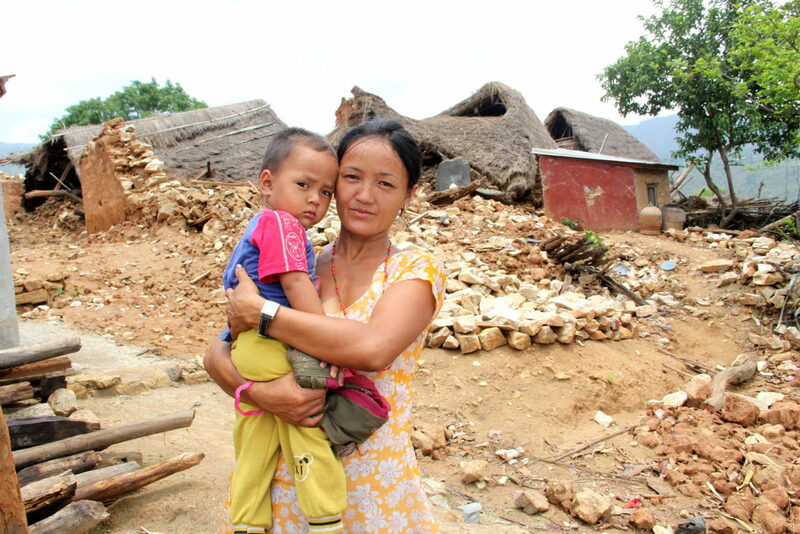 You can help World Vision continue responding to disasters like the 2015 Nepal earthquake around the world. 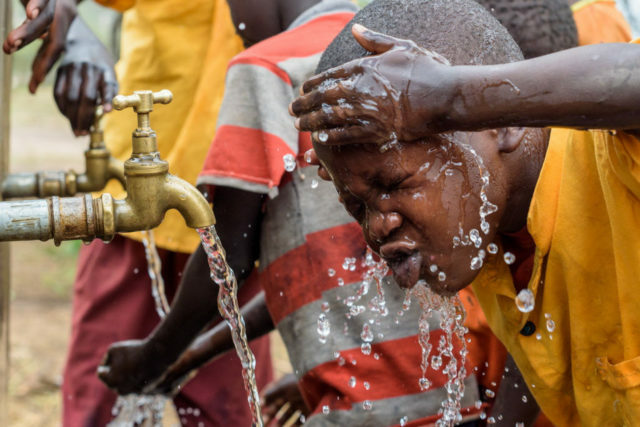 Give: Donate to World Vision’s disaster relief fund. 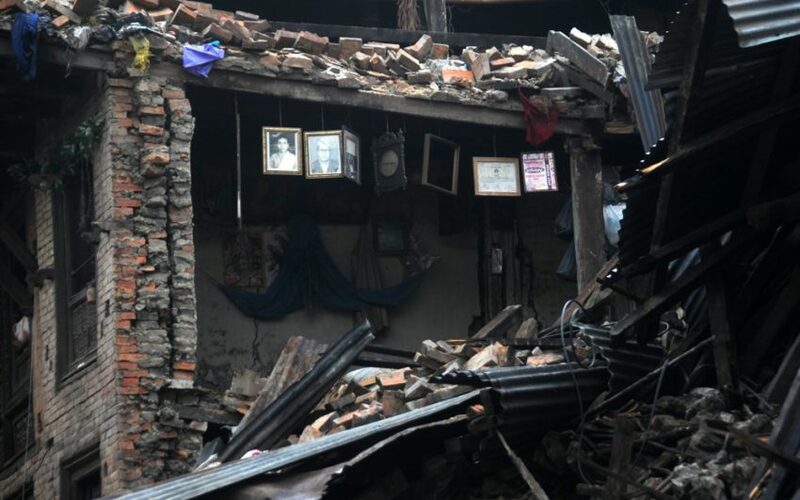 Pray: Join us in praying for World Vision staff and responders as they help families recover and rebuild: Almighty Father, we ask for Your mercy on people hardest hit by the 2015 Nepal earthquake. In the midst of their struggle to recover, give them patience, peace, and hope that their lives will continue to improve. When disaster strikes, World Vision is there. Help us respond to disasters like the 2015 Nepal earthquake.